I remember having panic attacks as early as kindergarten, but it wasn’t until I was 25 that I knew they were panic attacks. As a child, the adults in my life assumed I was extra emotional and I didn’t know that what I was experiencing wasn’t normal. I’ve been living with anxiety ever since. I’ve learned a lot since being diagnosed and I’m hoping this series of practical tips for living with anxiety might help some one else. It helps me to slow my breathing down if I have to count to 10 for each inhale and exhale. Without the counting, I lose track of how quickly I’m breathing and can get close to hyperventilating. Laying on your back, place your right hand on your stomach and your left on your chest. With each breath, feel the weight of your hands and allow the breath to relax them. As your hands relax, your body will, too. I’m an incredibly visual person, so I need a visual reminder to breathe. I saw this GIF on Facebook and it was perfect. I’m always more tense than I think I am, so a visual breathing tool is perfect! Find a comfortable position laying or sitting down and close your eyes. Breathe deeply and feel the breath filling your body. Focus on what it feels like to breathe and your body will start to calm down and relax on its own. In yoga, there’s a practice of breathing in deeply through the nose and out through the mouth or nose. The goal is to breathe so deeply that you can hear yourself breathing. 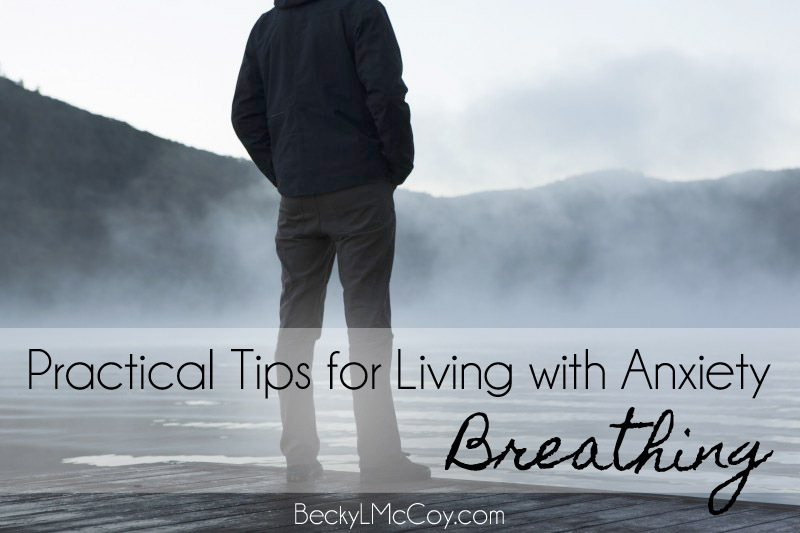 It amazes me every time how effective “nose breathing” is for relieving anxiety. What other breathing techniques have you used to relax? Want to stay in touch? Sign up for my newsletter and don’t miss a thing! SIGN UP HERE.